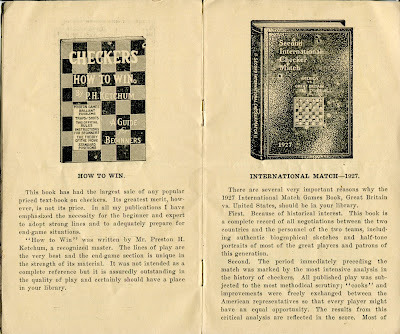 An unusual specialty for a bookseller and publisher--books about the game of checkers. 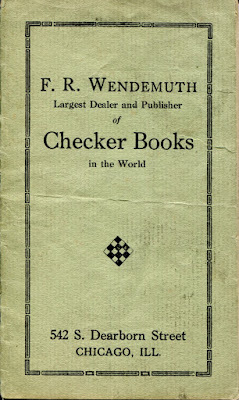 In this little sales brochure, Wendemuth is promoted as the largest dealer and publisher of checker books in the world. 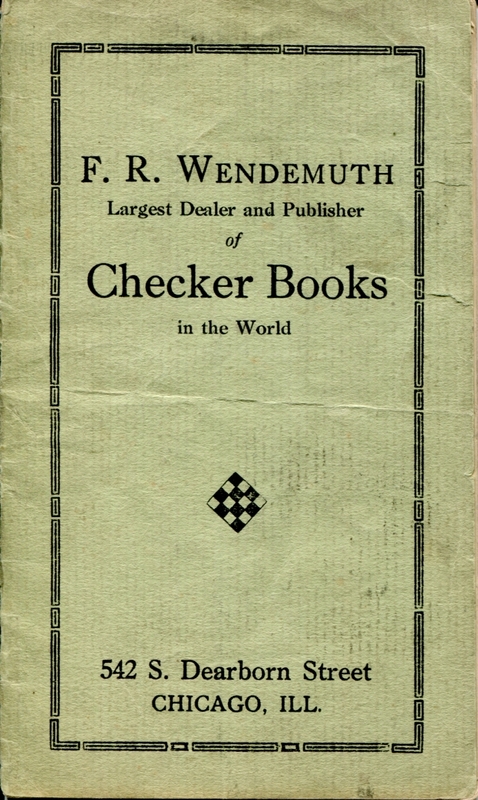 Wendemuth (1860-1938) was not just a bookseller and publisher with a narrowly-focused inventory; he was also the draughts editor of the Chicago Daily News and a former draughts champion of Illinois and Chicago. 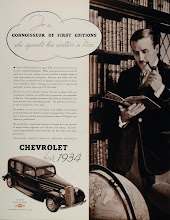 The December 2010 issue of the ACF (American Checker Federation) Bulletin named him as one of the greats of the Chicago checker players. So he knew what he was talking about when customers inquired about books on draughts, or checkers. By the way, if you don't know, draughts is the British word for the game and checkers the American equivalent. 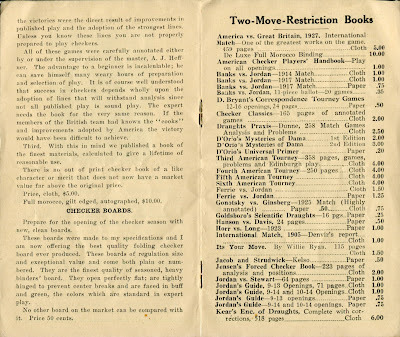 In this little catalog, Wundemuth promoted his books as investments, advising customers to always buy First Editions. Let's check in on some of his investment advice and see how certain purchases played out in the last century. 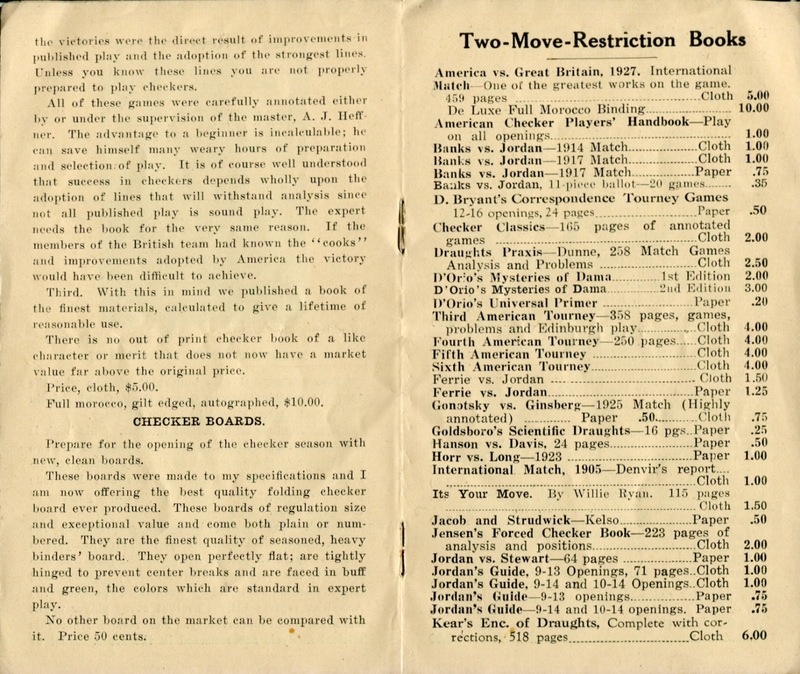 Listed among the Two-Move Restriction Books is Banks vs Jordan 1914 Match in cloth covers for a dollar. A quick online check of bookseller inventory for that title results in two copies in the $40 range. 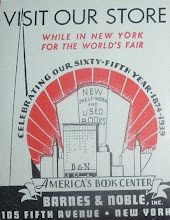 Staying with this category of books, let's see what America vs. Great Britain 1927 yields. 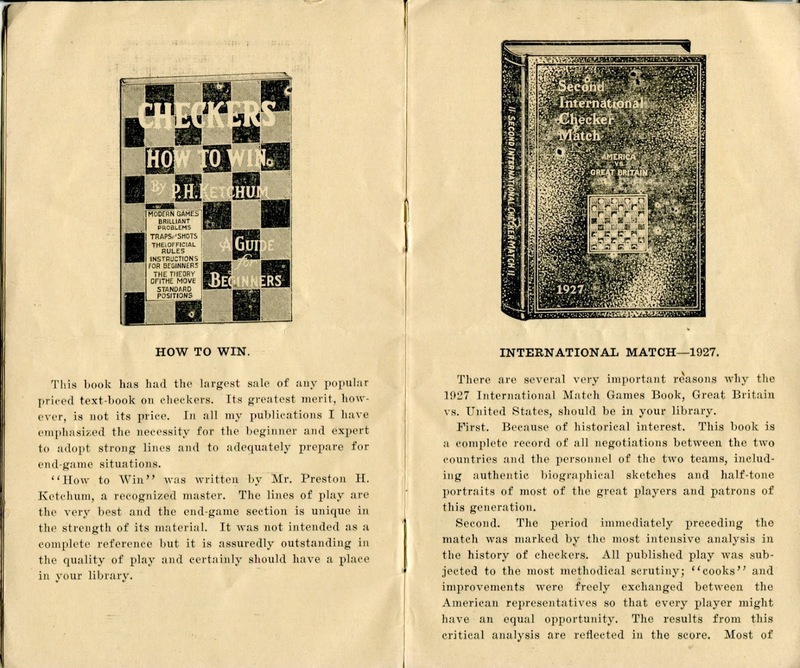 Wendemuth describes this hefty 459-page book as one of the greatest works on the game. He had it in cloth for $5 and De Luxe Full Morocco Binding for $10. 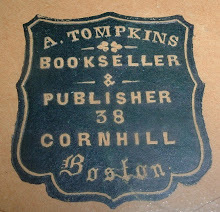 I have a cloth copy priced at $12.50, but the front cover is damaged. Better condition copies in cloth binding run up to $75 with varying grades of condition, signatures, etc. I didn't find any bindings in full Morocco, but they'd probably start somewhere at the $100 level. 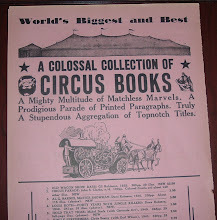 If the two titles above are any indication, then, yes, first edition checker books have appreciated in value. As an investment, though, there's relatively little upside for having held onto them the better part of a century. Unless that investment was in the pleasure of building a fine collection of books on checkers.